The only thing better than the whole, "crush your enemies, see them driven before you" thing, is getting to do it for free. Funcom's Age of Conan MMO is joining the likes of Dungeons & Dragons Online and Champions Online and going free-to-play. Just like its contemporaries though, there will still be a place for subscriptions in AoC, you just won't need one to get in on the action. Free players will get access to four of the game's twelve character classes, and three of the game's areas. Free players will also be able to play through around half of the game's instanced dungeons and two of the six raid scenario. If free players want even more Conan-themed goodness, they will be able to gain access to additional content by buying passes. A full breakdown of the difference between free and premium players can be found here. Age of Conan's executive producer, Craig Morrison, said that Funcom wasn't afraid of making changes to its business model, and added that taking the game F2P actually wasn't anything that Funcom hadn't done before. "This isn't new ground for us," he said. 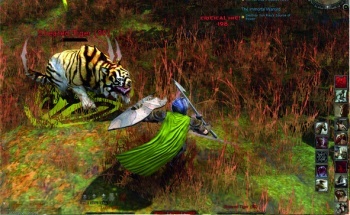 "We were really pioneers with this format back when we did it in 2005 with Anarchy Online, so it was natural for us that we would adopt a similar approach for Age of Conan." Morrison said that pretty much everything that to in Age of Conan subscribers will have access to will be available to purchase separately, but only for a limited time, as Funcom wanted there to be a real advantage to being a subscriber. Morrison said that going F2P would remove the barriers keeping people from trying Age of Conan, something that he - predictably enough - recommended that everyone should do at least once. Funcom says that the new model for Age of Conan is scheduled to go live this summer.